University of Maryland Shore Regional Health filed a Certificate of Need application to the Maryland Health Care Commission for a new hospital that will relocate and replace Shore Medical Center at Easton, currently located in downtown Easton. The new hospital will be located in Easton, just off US Route 50, near the Talbot County Community Center. The total cost of the project is expected to be nearly $350 million. 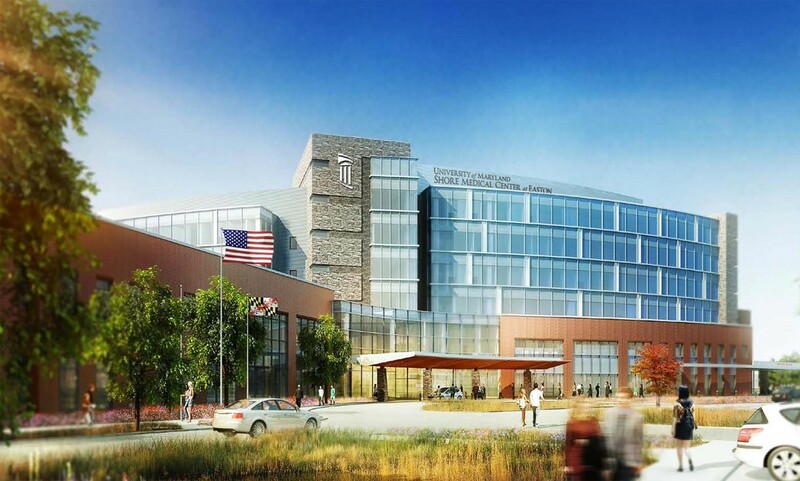 University of Maryland Shore Regional Health also plans to build a medical office building adjacent to the new hospital for medical specialists, a regional laboratory, and staff and community education and training facilities. The approval of the Certificate of Need and financials are expected to take up to 24 months. Ground breaking is projected for the summer of 2021, with the new hospital being completed by the summer of 2024. To learn more about the new hospital, click here.